The FAIR Education Act Implementation Coalition has been recognized among 2018’s San Francisco Pride Community Grand Marshals and Honorees! The FAIR Education Act Implementation Coalition has been awarded San Francisco Pride’s José Julio Sarria History Maker Award . * Our Family Coalition, the convening and lead agency, will accept on behalf of the many FAIR Education Act Implementation Coalition partners: The Committee on LGBT History, GSA Network, the LA LGBT Center, the National Center for Lesbian Rights, Equality California, the Safe Schools Coalition, and independent community leaders such as Don Romesburg, Carolyn Laub, and Judy Appel, who worked hard in or alongside Our Family Coalition for years to get LGBT history into CA’s textbooks. Fourteen individuals and organizations have also been recognized among this year’s Community Grand Marshals and Honorees for the inspiring work they have been doing on behalf of our community. We offer them our hearty congratulations, and invite you to check them out here. 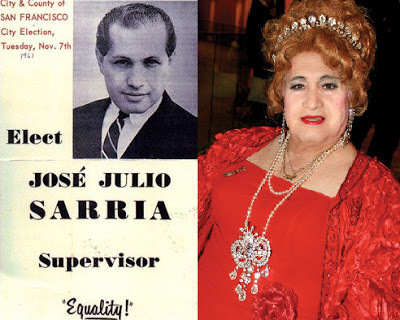 San Francisco Pride’s José Julio Sarria History Maker Award is given to “Bay Area people who make extraordinary changes in the way society views the LGBTQ community.” And what an honor for the FAIR Ed Act Implementation Coalition to be awarded it! Because that’s exactly the aim of our work. Our goal, shared by the half-dozen-plus agencies we lead in this coalition, is to ensure that the six million students in California’s K-12 public schools – along with all our future generations – receive an education that includes knowledge about LGBTQ people, our families, and our contributions in history and social science. It has taken more than a village and more than a decade to get this far, and the work is far from done to make this goal into a reality. Please help us keep working county by county, district by district, to ensure that teachers are able to receive the training and support they want and need to deliver this curriculum effectively. For our kids, and for the generation that’s growing up alongside them.